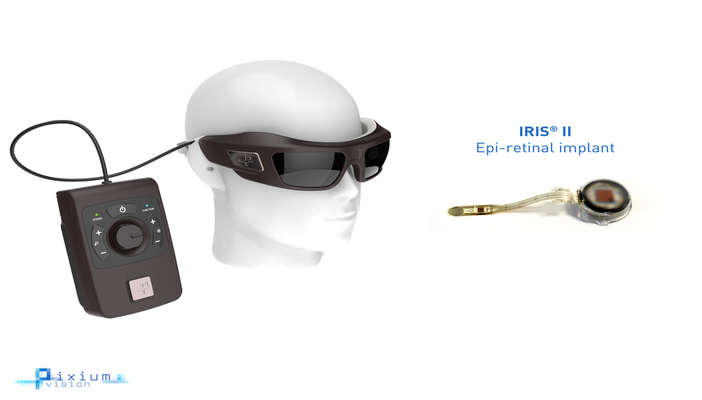 A clinical trial has started in the UK to test the IRIS®II, a bionic vision system that aims to help patients who have lost their sight due to retinitis pigmentosa. Moorfields Eye Hospital Foundation Trust in taking part in Pixium Vision's trial of IRIS®II which uses a bio-inspired camera to stimulate a retinal implant and sends image signals to the brain. The initial goal for the new bionic system is to deliver light and shape perception and to localise objects giving the patient the ability to negotiate unfamiliar environments. As well as testing IRIS®II on patients with retinitis pigmentosa (RP), the trial will also include patients suffering from the conditions Usher syndrome, cone-rod dystrophy, and choroideremia, all of which can lead to blindness. IRIS®II trials are also taking place across France, Germany and Austria. Watch a film by Pixium Vision to see how IRIS®II works. To find out more, please contact the press team at Moorfields at [email protected] or call 020 7566 2628.